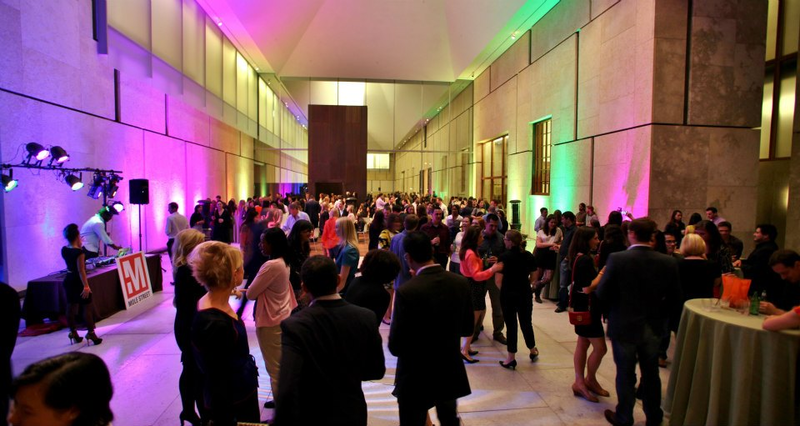 Rent Barnes Foundation | Corporate Events | Wedding Locations, Event Spaces and Party Venues. A breathtaking combination of legendary art and modern architecture makes the Barnes Foundation the perfect setting for your fêtes and functions. In the heart of Philadelphia’s Parkway Museums District, the Barnes is renowned for its collection of post-impressionist and early modern art. The sleek, sophisticated limestone edifice boasts great open spaces, cozy nooks, and lush gardens in a sequence of outdoor and indoor spaces that will transport you in to the extraordinary and unexpected. Our convenient and fully accessible downtown campus provides a dramatic backdrop for receptions, a professional platform for corporate events, or a garden party setting. Whether you’re a professional meeting planner on a tight schedule or a first-time organizer overwhelmed by choices, the Barnes events staff and catering team are here to guide, assist, and flawlessly execute your arrangements. The restaurant and adjacent garden provide a beautiful setting for intimate dinners and cocktail receptions. With sliding glass walls and an open kitchen, the Garden Restaurant can transform from casual to formal for a relaxed get-together or a black-tie affair. A reflecting pool and surrounding flora create a private, tranquil oasis minutes from Center City. Pricing $2,500 to $3,000. With an open-air indoor garden-in-a-gallery designed as an homage to our Merion Arboretum, the lower-level lounge is beautifully framed by the Barnes Shop and Honickman Library. Native American ceramics and jewelry, the only collection pieces displayed outside the galleries, add artistic flair to complement your special occasion. Pricing $4,000 to $5,000. The Comcast|NBCUniversal Auditorium, equipped with state-of-the-art audiovisual capabilities, is perfect for your film screenings, performances, lectures, and symposia. The building’s modern design and architectural elements are carried through in the hardwood stage, hand-chiseled limestone wall panels, and cognac leather seats. Our seminar rooms, boardroom, and classrooms are elegant and distinguished spaces, suitable for hosting intimate gatherings or convening important business receptions. They seat 12 to 75 guests and are fully equipped for audiovisual presentations.